It’s easy understand and read a Bordeaux wine label, once you get the hang of it. All you need to know and learn is a few simple, wine phrases. Understanding a few terms, words phrases really is everything you need to know to fully understand and read a Bordeaux wine label. French wine labeling laws which apply to Bordeaux wine offer more information to the buyer than you usually find on American wine bottles. 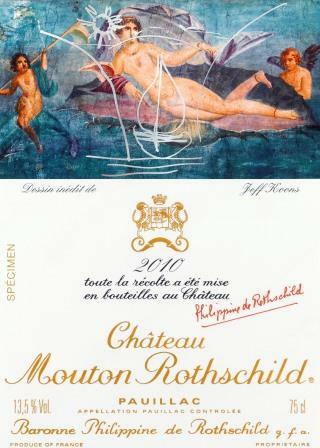 That’s why it’s important to get a handle on how to read a Bordeaux wine label. To really grasp the meaning of the terms you will see when you read a Bordeaux wine label, it will help if you get a basic understanding on the reason and concept behind the information printed on Bordeaux wine labels. The most important concept to grasp when learning how to read a Bordeaux wine label is the concept of terroir. The concept behind terroir is simple. The place of origin is what gives the wine its true character. Wines are different because of where they come from. Each specific wine region provides a different wine tasting experience because of the terroir, or place of origin. Labeling laws in America and in other new world wine regions are more interested in providing consumers with the names of the grapes used in the wine, instead of details about where it came from. For example, while in America, it might be important to inform consumers that a wine was made from Cabernet Sauvignon. In Bordeaux, telling you that the wine was from Pauillac, and that being from Pauillac meant that the character of this wine comes from a blend dominated by Cabernet Sauvignon that tastes like it does because it is from Pauillac is the information the consumer needs to know. In America and in other new world countries, the concept of place of origin is in a state of evolution. Today, the AVA, or American Viticultural Area continues gaining strength with consumers and producers. Labeling laws vary to a degree in Bordeaux, depending on the specific rules and regulations in each appellation and level of classification. For example, as you learn to read Bordeaux wine labels, you will discover that the better the wine, or the higher the level of classification for the wine, more specific detail on the wine and the land it was grown in, is provided. On the other hand, as you learn more about how to read a Bordeaux wine label, you will also discover that the lower the quality or classification of wine will provide you with less details printed on the wine label. The lowest class of wine from France does not even provide you with the vintage, or origin of the vineyard, all you get is the producer name and the country of origin. The purpose of the classification system is simple. Generally speaking, the level of classification was created to easily inform the consumer with only a quick glance as to which wines, vineyards or producers were the best when measured against their peers. For background information on the Bordeaux Classification system, as well as for other French wine regions: Vineyards, Grapes of France and Appellation Laws If that was not enough reading for you, there are numerous rules and laws that vary from appellation to appellation and wine growing region in France, set forth by the AOC. Back to how to read a Bordeaux wine label. Now that you understand the concept behind terroir, and in turn French wine labels, it gets a lot easier from here. These are the definitions for the majority of terms you are going to find when you read a Bordeaux wine label. Annee – Year or vintage. Cremant – Sparkling wine made in Bordeaux. Cru Bourgeois – Level of classification that is in many, but not all cases, below the 1855 classification of the Medoc. Depose – A sign of a French trademark. Deuxiemes Crus – Second Growth classification level used only for sweet white Sauternes. Grand Cru – A higher level of classification. The term Grand Cru takes on different meanings, depending on if the wine is from the Medoc St. Emilion. If the wine is from the Medoc, it means the wine was classified in 1855. If the wine is from St. Emilion, it means the grapes came from vineyards anywhere in the large, Grand Cru classifed area of the region. Grand Cru Classe – The first level of classification for St. Emilion. Premier Cru – A wine of First Growth status from the 1855 Classification. Premier Cru Classe A – This applies only to St. Emilion and only 4 chateaux have earned that ranking. It is the equivalent to a First Growth chateaux in the Left Bank. Premier Cru Classe B – This applies only to St. Emilion. Very few chateaux have this ranking. While it means a First Growth of St. Emilion, it is about the same as a Second Growth chateaux in the Left Bank. Premiers Crus – First Growth classification level used only for sweet white Bordeaux wine of Sauternes. Premier Grand Cru Classe – A wine of First Growth status from the 1855 Classification. Premier Cru Superieur – Unique level of classification reserved solely for Chateau d’Yquem.